As we mentioned previously, because we are pushing the event live shortly after the patch is pushed tomorrow (pending any critical issues), we wanted to share with you the gear needed to upgrade Darth Revan so that you can get ready to start competing with him quickly. 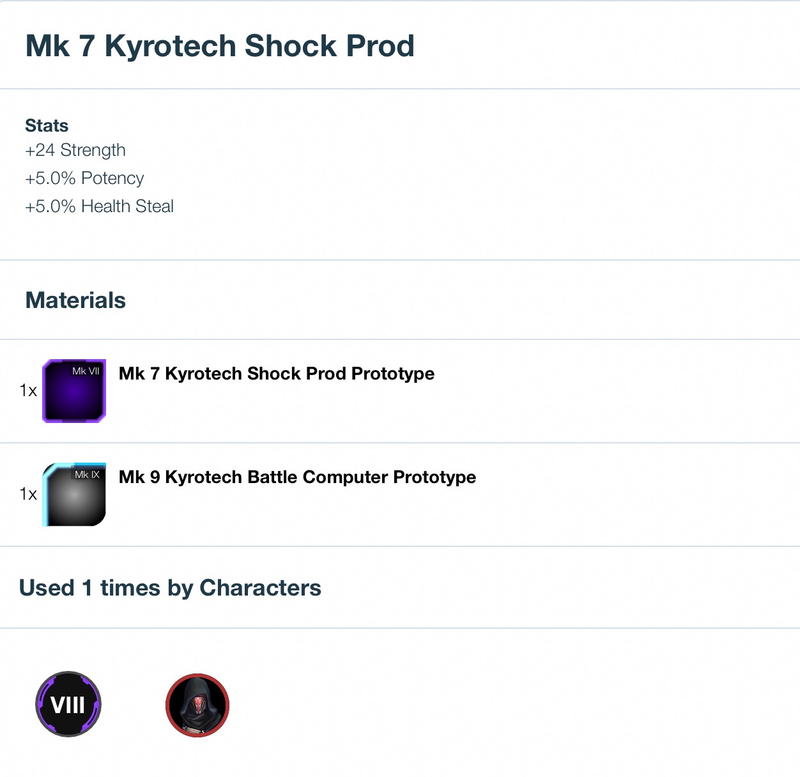 The gear list is available to viewed on SWGOH.gg. One thing to note is that there are two new pieces are gear are needed for Darth Revan’s Gear tiers 8 and 9. Both will be available to earn from nodes but we will have more details to share about these gear pieces with the Update notes tomorrow (barring any critical issues Monday). There is a new Gear piece for Darth Revan, anybody know about it? How to craft? Whys it say g8 next to revan photo? Putting Carth on a single ship node is the paywall. It'll make sure old and new players will pay. So tbh I played over 800$ to have 7* and g8-9-10 the required toon for Darth revans journey. And now you CG decide to ad a new type if gear which will only be needed for Darth Revan himself. Just to can monetize even more in hin, becouse you screwed over with JKR!? And with the delay what you purposefully made for exactly this reason to can monetize him even more. Great job. This is pretty embarrassing for them. They realised people had longer to farm than what they did for JKR, so to capitalise and earn more revenue they decide to release 2 new bits of gear so people have to pay just to get him past g8. Not good business management if you actually care about customers/players. I've had all 5 required character at 7* for over 2 weeks now, as I'd saved 30k crystals in preparation. To pull this stunt now is utterly ridiculous and reeks of an attempt to pull back revenue that they've lost as a result of their delays. That's like telling them to quit their job or sabotage it so they get fired. CG made a ton of money from Jedi Knight Revan. We may not like it, but they found a way to make money introducing these new pieces. Foolish idea? If they get a lot of people to pay so they can top arena charts, how is that foolish? It's just smart business. I hope they take this back because this seriously is kind of a disgusting business move, I spent a lot of money trying to get ready for revan and now he wont even be able to get past gear 8 because of a new convenient paywall?? This is probably the last time I'm spending money on this game honestly.. I figured there would be a higher gear requirement for the required toons in the event. Not totally new gear at a lower level. Designer 1 "We designed him poorly so need to do more testing"
Designer 2 "But everyone will have him unlocked by then, how do we make money on packs?" Designer 1 "Easy, make a new piece of gear that will take ages to farm but sell it in the shop"
Designer 2 "But what if we do 2 of them. I need another holiday"
I hope these pieces will be added to the guild shop or shard shop or something. Farming gear only from nodes takes forever. CG mentality is: if you are too prepared, let me think about how to mess with you.